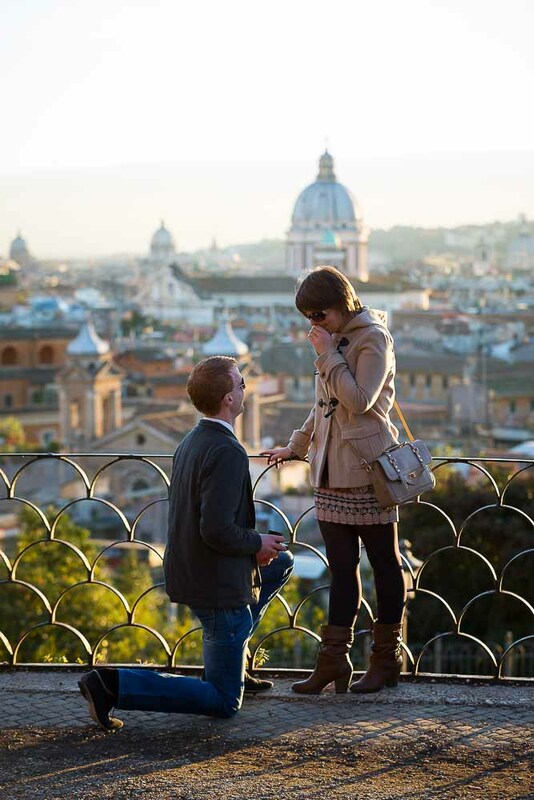 A wonderfully romantic proposal taking place at Parco del Pincio by the Villa Borghese Park. Perfectly timed to capture the best available sunset light. A touching moment in a most beautiful location. 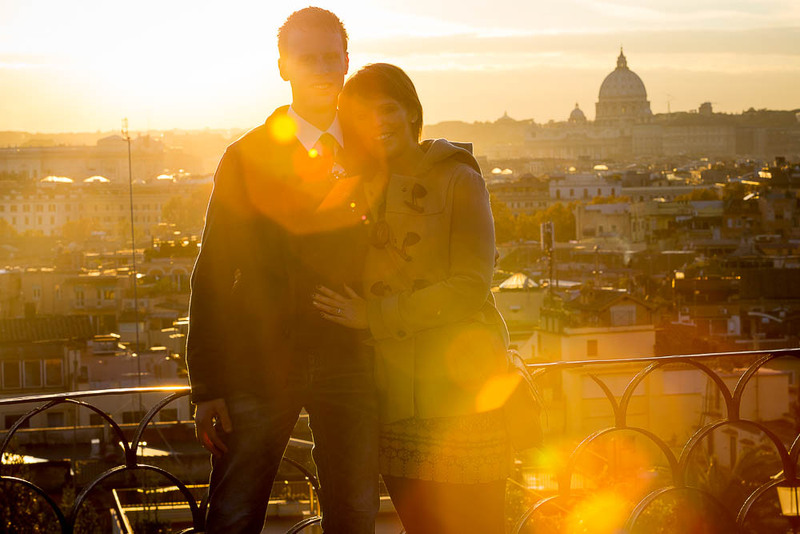 So much joy and happiness overlooking the roman skyline. 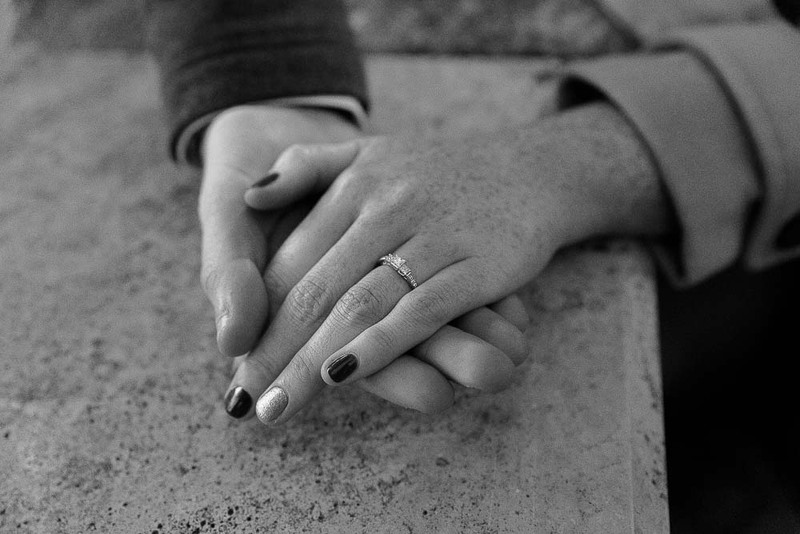 There was such a fantastic aura of fun and happiness around them that the engagement photography was very enjoyable. With pictures coming out in a delightful and spontaneously way! Took place in around the environs. 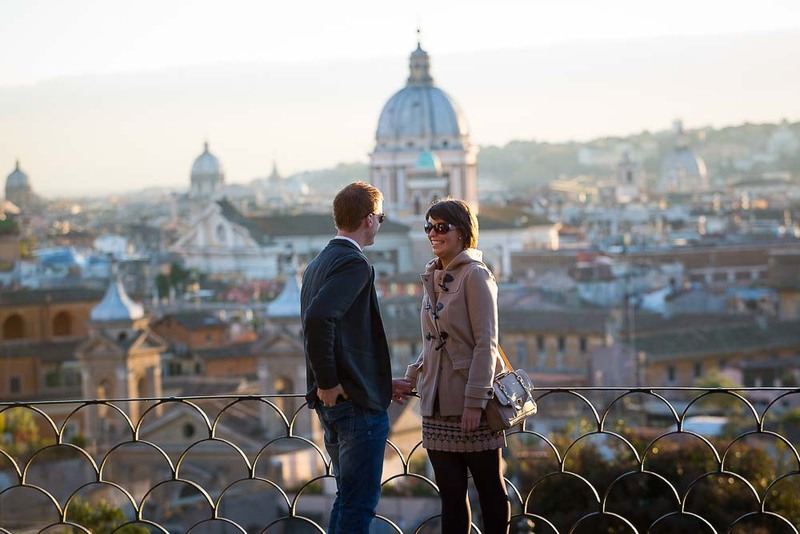 Staring with the stunning panoramic view over the roman rooftops. Ambitiously shooting against sunlight to capture some creative color images. 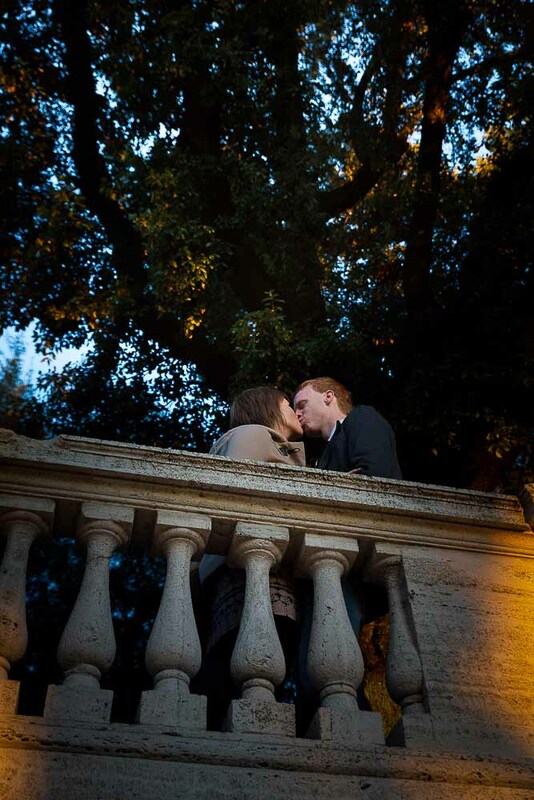 Then underneath the terrace to frame in some romantic and poetic pictures. 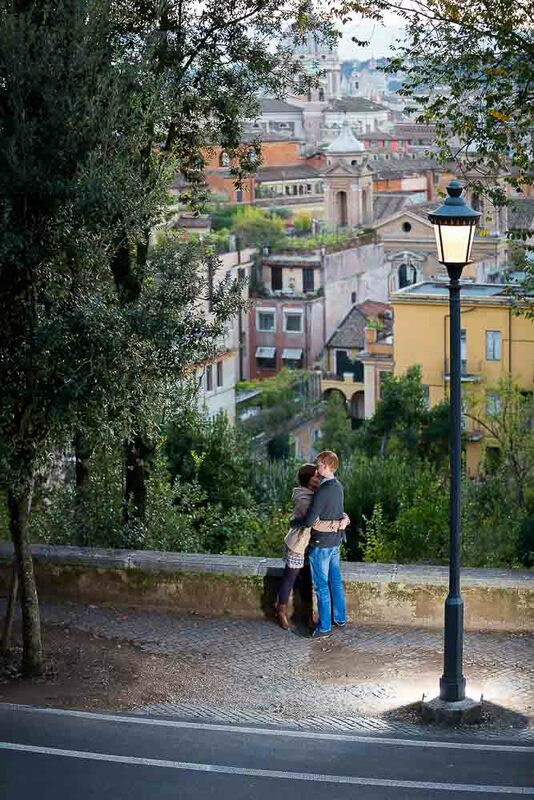 We took a small walk to the street below for some nice couple photography from above. Where we also met some nice friends which posed with us in some nice photos! Then it was one last leap over a water puddle before the photo shoot ended. But not before capturing a nice picture of the engagement ring. Location: Parco del Pincio and Villa Borghese. Rome, Italy. More details on the wedding surprise proposals can be viewed here. Check out the blog to view all the photo shoots. The Portfolio Gallery to view the best pictures by Andrea Matone.